Have you ever made a decision (or not made a decision) based on how it would impact your credit score? Whether it be applying for a credit card, canceling a credit card, paying off debt early – we are concerned about how it will impact our credit score. And for good reason too; your credit score could potentially impact your future ability to get loans, and potentially some types of jobs. But are we giving our credit score too much “credit”? Or not concerned enough with our credit score? Before we get into that, let’s start with what our credit score actually is. FICO, Equifax, Transunion – those are the 3 credit reporting agencies. A history of your past jobs and addresses, every payment for bills, loans, credit cards, as well as significant events like bankruptcies and arrests are recorded in these 3 places. When you think about it, it’s kinda scary – a permanent record of your financial dealings are being recorded, and there's not much you can do about it. But it is what it is, and unless you want to live completely off the grid, a credit score that follows you is a part of life. Credit to Debt ratio – If you have large access to borrowing, but you are utilizing a small percentage of it, then your credit to debt ratio is small, and that helps your score. Debt to Income ratio – Having low debt and high income will help your score, while high debt and low income will hurt. Credit inquiries – Whenever the credit reporting bureaus “pull” your credit to check and see how much credit should be given to you, you get a small deduction in your score. But this might be negated by being granted a larger access to credit. Whenever you apply for any type of credit, whether it be a loan or a credit card, a credit inquiry occurs. Bankruptcy hurts your credit score. No explanation needed. Getting arrested hurts your credit score. Yup. Question 1: Should you care about your credit score? Here is my situation… I am debt free, I plan on always being debt free, we don't plan on ever moving out of our house, and we will never have another auto loan. Yes, we have a credit card that is used for business expenses but it always has a zero balance. So why would I need a credit score if I don't plan on using that credit? For others in a similar situation, or if you're getting out of debt with no desire to get back into debt – does a credit score even matter? That’s a common question. For a while, my opinion was “no”, it doesn’t matter – and you shouldn’t care what your score is. Dave Ramsey famously calls the credit score a “debt score”, and to a point, he’s right. But I’ve changed my tune a bit. I view a credit score as more of a financial responsibility score. Should you care – yes, you should! Particularly for those in bad financial situation trying to climb out, a bad credit score can really hamper your ability to live. Landing certain jobs, a small auto loan for a commuting vehicle, renting an apartment, buying a house; all of these things could be more difficult with a low credit score. Question 2: Should you monitor your credit score? Monitoring your credit can be a great way to know what’s going on behind the scenes in your finances. Even if you stay on top of all of your loans and closely monitor your bank accounts, stuff might be happening that you aren’t aware of. Maybe you have some open loans that you thought were closed years ago, or maybe someone is fraudulently using your identification. Whether you monitor your credit personally, or use a credit monitoring service, you gotta know what's going on. One service that I've used often is Credit Sesame. It's free, and even if you just check your score and open lines of credit once in a while, it's worth it. You can check it out HERE. Question 3: Should you make decisions based on how it will impact your score? Does this conflict with my answer to question 1? No – here’s why. Your financial decision making needs to be based on what you believe to be the smartest decision for YOU. You shouldn’t be making decisions to please FICO, Equifax and Transunion; you need to be making decisions that will put you in the driver’s seat of your own financial future. Chances are, 99% of the choices that you deem “good financial decisions” will also increase your credit score. But this isn’t always the case. I’ll share a personal example to illustrate this point. When we were in our “go-crazy-get-out-of-debt” phase of life, we got rid of all of our credit cards. But there was this one card that was really hard to get rid of. I had a black Capital One card in my wallet since we first got married. It was my first ever credit card. It had a high APR, but no annual fee and I hadn’t used it in years. I called to cancel, and the rep on the phone convinced me that I should keep it. Since “credit length” and “credit to debt ratio” are parts of the credit score, I should just keep it open since there’s no annual fee. Made sense, so I was convinced. I hung up the phone, but still didn’t feel right about it. You see, the best choice FOR ME was to close the account. 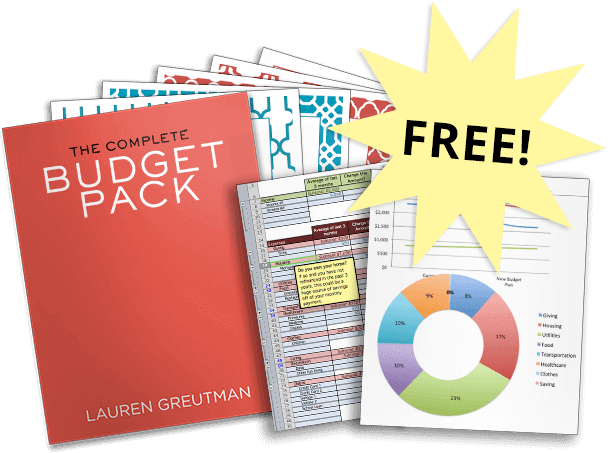 I was on a mission to be debt free, and I wanted no temptation to use a credit card at all. I called back and cancelled. I guess it technically hurt my credit score, but did I really notice any difference in my everyday life? Uh… no. I was still easily approved for a mortgage loan 6 months later! Back to question #1, yes, you should care about your credit score. 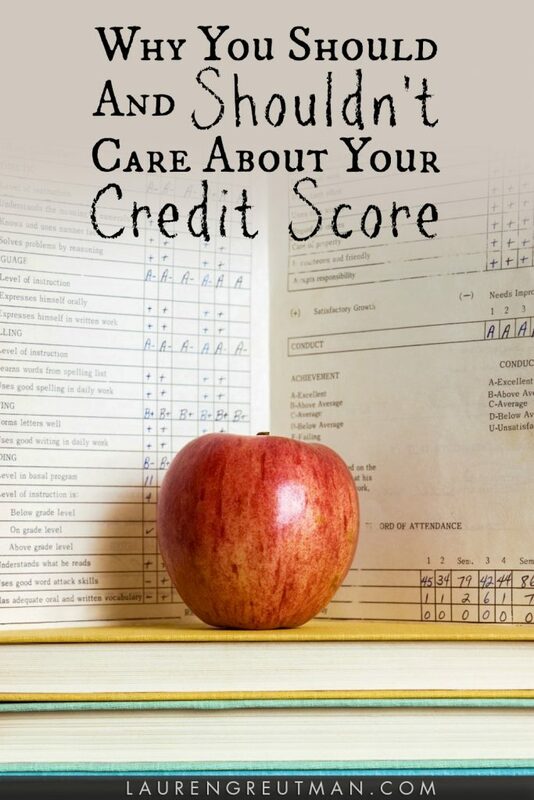 A bad credit score reflects poorly on you, and shows financial irresponsibility. But at the same time, you shouldn’t be making life decisions for the sole purpose of giving you a rocking credit score. I once had a reader write to tell us how they were getting back on track financially and he was so excited to see his credit score shoot up 50 points. I was obviously very excited for this reader too – but it wasn't the credit score that got me most excited, it was his dedication to making smart financial choices. The credit score change was simply evidence that he was heading in the right direction. You don't need FICO to tell you that you are making good financial choices. You can make that determination all on your own. Live a life of financial responsibility the way YOU deem to be best for you and your family, and your credit score will take care of itself!